Wondering how to fix damaged hair? Now you can rescue your damaged hair with intensive repair. We know you know you damage your hair with all the heating, primping, straightening and styling you do. And were here to tell you: play away. With Pantene Intense Rescue Shots Hair Ampoules, you can feel free to do what you want with your hair, knowing we can help rescue hair from any damage. Our most concentrated formula helps repair and restore damaged hair, even after damage caused by styling, heat damage and chemical treatment. That means #moregreathairdays. So go ahead and play with your hair, because weve got your back. Instructions: Step 1: After washing hair with Pantene shampoo and conditioner, dispense the ampoule into your hand. Step 2: Apply onto damp hair and massage from mid-length to ends. Step 3: Rinse thoroughly. This product is fantastic. It's almost decadent in the way it feels. It's thick and creamy and smells divine. It feels good going on my hair...it's a conditioner on steroids. It is definitely intensive. It made my hair silky and broken strands just seemed to lay down. And, it is very easy to use. I can't recommend this product enough. 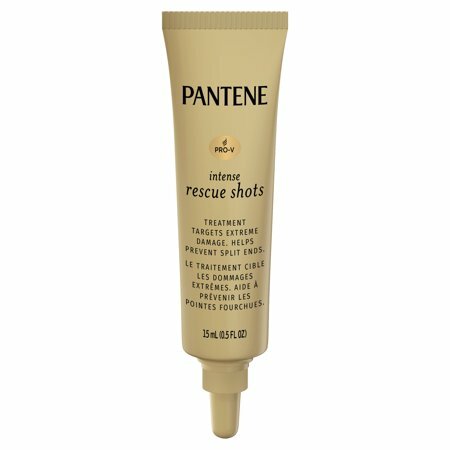 Pantene Pro-V Intensive Rescue Shots Hair Ampoules does exactly what it claims to do. I absolutely loved this product! 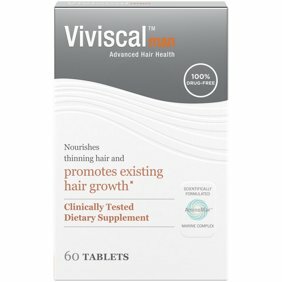 I tried it in my Winter Walmart Beauty Box and first of all, the sample lasted three uses (and I have a lot of hair) and second, my hair was so insanely soft afterwards. It smells great and leaves your hair feeling silk and hydrated -- my hair even air-dried really nicely overnight....which can be a hit or a miss with my hair. This was a great inclusion for winter hydration! My hair is usually always on the dry side with split-ends but after visiting family in a cold climate, my hair was worse than usual. This really did improve my split ends. I noticed not as many and the ones I did have are not as noticeable. It also added some much-needed hydration to my stands to help them feel a lot more silky and even added some extra shine. I just purchased the full-size of this since I was so happy with the results. I have spent so much money on products that haven't worked as well as this. I admit I was a bit skeptical, but this is a true fashion of brand/price doesn't necessarily mean that the product is better. Pantene really did a great job with this. This stuff is amazing. It left my hair very soft, tangle-free and shiny. I usually only use a conditoner on my ends because I canât find one that wonât leave my hair greasy towards my roots since I have thin hair but somehow this rescue shot managed to not get my hair greasy at all. Only downside would be the size because my hair is pretty long and I had to use a whole bottle. Wish I could somehow just buy this in a bigger bottle but I guess for now itâll do. I got a sample in my walmart beauty box! Firstly I love the smell! Normally I go for things without scent but it smells great. It takes only a little to use on your hair! Little goes a long way! It feels great in my hair and makes my hair soft! I would buy the full version of this product.